Gettle’s team of trained and certified thermal imaging experts delivers full service thermal testing for electrical systems and components for companies of all sizes across the commercial and industrial sectors. Thermography is the use of an infrared imaging and measurement camera to view and measure thermal energy emitted from an object. Infrared thermography cameras produce images of invisible infrared or “heat” radiation providing precise non-contact temperature measurement capabilities. Heat sensed by an infrared camera can be very precisely quantified or measured, allowing you to not only monitor thermal performance, but also identify and evaluate the relative severity of heat-related problems. Training and certification are critical elements to producing an accurate evaluation. Without evaluation through infrared scanning, many problems go undetected until production is affected and/or safety has been compromised. Finding and repairing a potential electrical problem before a component fails can save you much greater costs associated with manufacturing downtime, production losses, power outages, fires and catastrophic failures. Industrial infrared cameras and innovative software not only quickly locate problems, their non-contact precision temperature measurement and analysis capabilities instantly delivers information needed to form a plan of action, as well as determine the severity of the problem. Scans can detect immediate issues and predict typical wear and tear on equipment through trending analysis from data gathered over time. Detecting a problem is sometimes not enough. 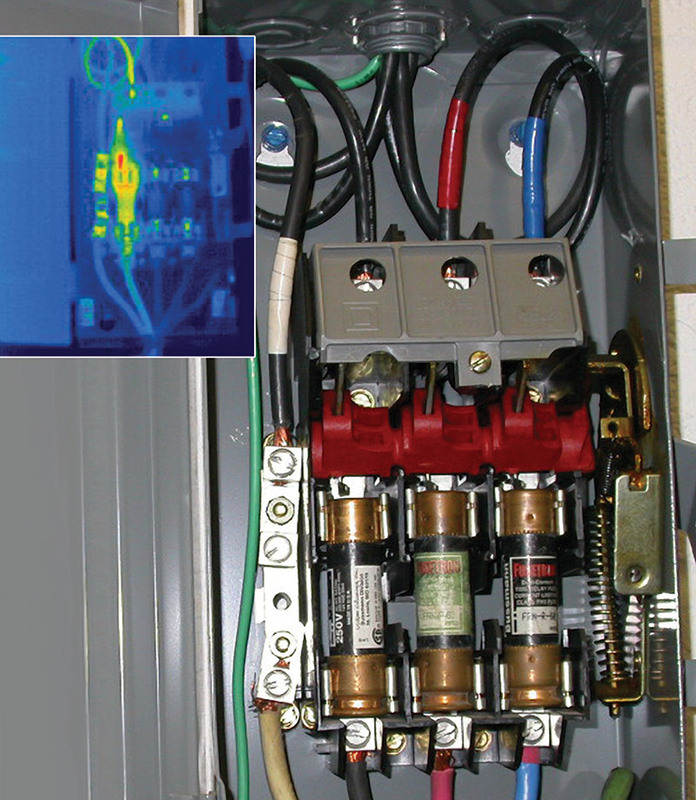 Infrared cameras incorporate temperature measurements allowing predictive maintenance (PM) professionals to make well-informed judgments about the operating condition of electrical and mechanical targets. Temperature measurements can be compared with historical operating temperatures, or with infrared readings of similar equipment at the same time, to determine if a significant temperature rise will compromise component reliability or plant safety. Reach out to the team today to discuss how a predictive maintenance program including electrical system thermal testing can help maximize your system performance.